Prep: 10 minutes | Cook: 2 1/2 minutes each batch | Servings: Are you kidding? At least 2 each! Cream butter and sugar until light and fluffy in a mixer. Add egg yolks one at a time and vanilla. Beat egg whites in a separate bowl until stiff. Fold egg whites into first mixture. Bake on a hot, well greased waffle iron until golden brown. 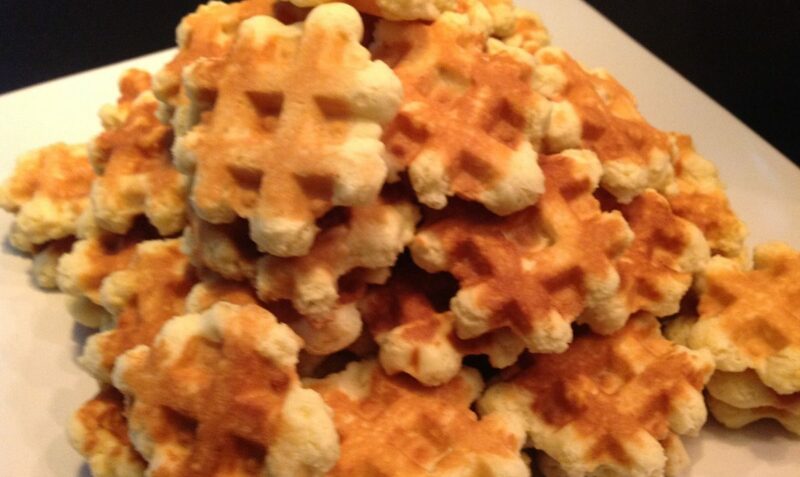 (waffle irons differ, in mine, it takes 2 1/2 minutes to produce 8 cookies at a time, two in each square). It is only necessary to grease the waffle iron for the first batch if using a Teflon coated waffle iron. Cool on wire racks, lifting each with the tines of a fork from the waffle iron. Keeps for a week in airtight containers. Freezes beautifully. For speed and ease in baking, walnut-sized balls may be rolled ahead of time instead of dropping dough from a teaspoon. Makes approximately 8-10 dozen depending on the size of the ball. These cookies are a delicious way to start the day! Great texture, travels well in lunchboxes or mailings. These were good! 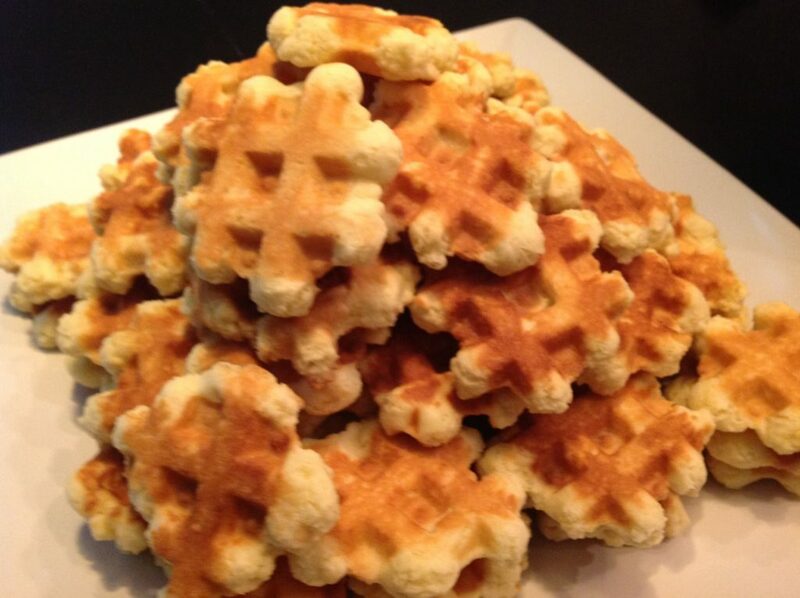 Takes a bit longer with using the waffle iron, but great for snack. We used them for breakfast in the morning when we were running late. No syrup needed. Great cookies! My family requested a new batch as soon as they finished the first one. Very portable.